As you know, Microsoft Excel has tremendous capabilities such as Formula, Chart, Power Pivot, Slicer, and Condition Format … help you build stunning dashboards and reports. Now with our Query and Excel Report, users without programming skill can make real time Excel reports in Microsoft Dynamics Navision directly. 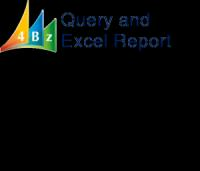 User interaction or prepare reports silently, capacity of using pre-built Excel template. Make report with 4 steps by Wizard including select and arrange Tables, select and arrange Fields. WYSIWYG Document Layout design produces superb looking document reports. Distribute reports through email automatically. Retrieve data from multiple companies. Report built-in security by standard NAV Role and Permission, and report owner. Ability to share reports to other users in same company or using different NAV systems. Support aggregation functions such as Group, Summary, Count, Average, Max, and Min. Capacity to sort and keep top rows for reports such as Top 10 Customer, Top 20 Item. Support joins tables for linking information, Report Parameter for filtering. Multiple Excel Worksheets, Format Value, Format Cell, Column Width support. Support Web client, export report data to XML with or without Schema. Not include NAV Objects Fee if needed. Order for First Year: 1200 USD/Year + Transfer Fee 5.5%. Renew yearly, from Second Year: 200 USD/Year + Transfer Fee 5.5%.